It is always good to have the Firewall Enabled in your Windows 8 Computer as a precaution. In case if you are using another premium firewall from Norton, McCaffee or any other brand, you may need to disable the Windows Firewall. You just need one good firewall. Having more than one firewall may slow down the system or create conflicts. In such a case you may need to disable the default Windows Firewall. 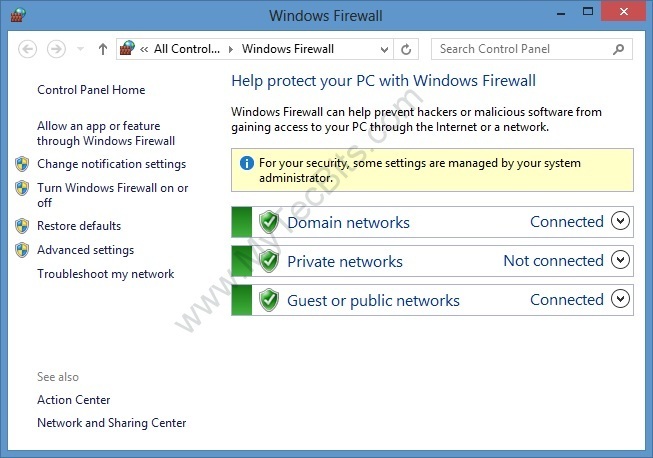 Default Firewall in windows 8 can be disabled or enabled (turned off or turned on) easily. NOTE: For your safety, make sure you have another firewall running before disabling Windows 8 Firewall. On typing the search screen opens and displays the results from the Apps by default. Select the Settings from the search category. Click Windows Firewall from the search result at the left. The Windows Firewall screen launches. In the Windows Firewall screen, click the Turn Windows Firewall on or off form the left panel to open the Firewall Customize Settings screen. In the Firewall Customize Settings screen, you can turn on or turn off the firewall for whichever network you want. 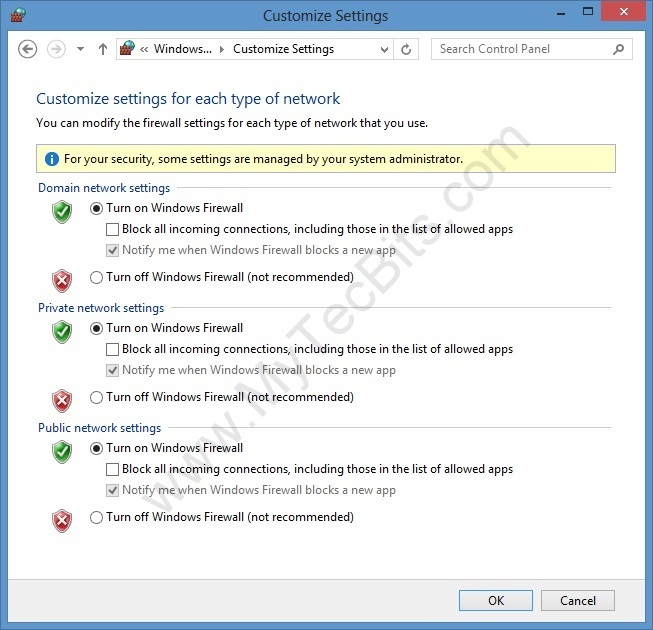 If you want to disable Windows Firewall altogether, then Turn off firewall for all the networks.